Had Medewi on my list of stops as I heard it was fun mellow wave, uncrowded being so far from Kuta, but since doing some research I have councilled our hotel booking, sounds like the surf schools have taken over......we experienced this phenomenon in lombok indonesia a few years back were local surf school push their students onto waves in front of surfer who is all ready on wave.... not only this they were getting agro at us for not getting off the wave? we found this very strange that they do not follow the surfing rules that are followed for safety throughout the world ??? some of these waves were 4 foot plus.....not beginner waves! 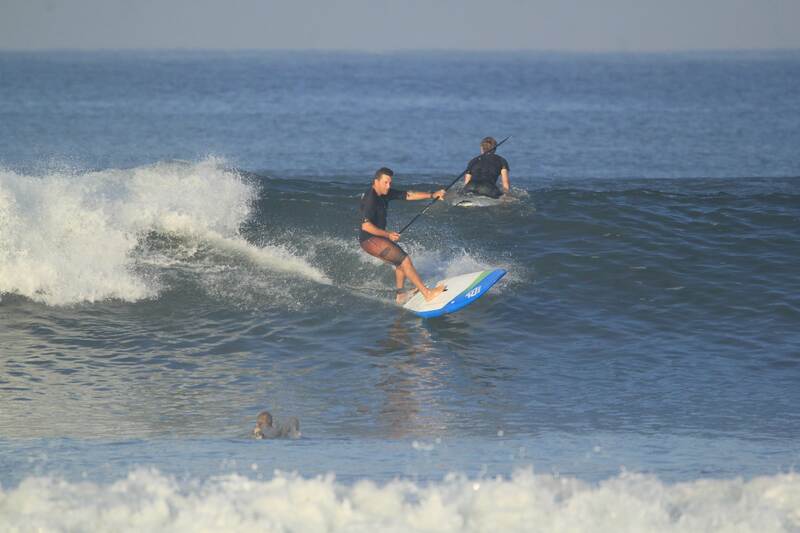 after catching about 4 waves in an hour on a 9"6 I was accused of hogging waves! and some of the surf instructors were dropping in to cut me off so there student could be pushed on further down the lineup, now im the type of surfer who may paddle in on a busy day at snapper without catching a single wave! im hardly a wave hog, at least in Australia we follow the rules ! Used to go there years ago with family stayed at the hotel in front of the break old but good but the manager has moved across the road to the Kiwi joint. To be honest there are better options river flows out just south of the break so water tends to be always dirty and you can get hassled by the young blokes trying to make a living of the tourists. Having said all of that I have had it a a good solid 6 ft plus a couple of times where the inside section fires up and did enjoy the stay. BTW Putu at the top of the entry road is the best for board repairs I have ever seen in all of Bali seen him put a firewire back together and you could tell. If I remember correctly there were stories of people hiring heavier locals to deal with other locals who were blocking waves at other waves in Indo. Would be funny to watch! On a serious note if Medewi goes that way it's a shame. I found it to be a really fun wave and enjoyed hanging out watching the waves just as much. ^^^^^that is the norm for Jap surfers in Bali unfortunately. A mate of mine who is a pretty good surfer and can hassel the crowd well hired a caddy one year to see if he could increase his wave count. Went out at 5 ft ish Ulus crowded with his caddy (had a bright shirt on that said caddy haha) and scored set waves to dream about the other Balinese in the water all cooperate blocking etc. It's all income for the locals so I guess in a way its a good thing. I was in Medewi 2 weeks ago and had an absolute blast. Stayed at the Bombora lodge that overlooks the point and it was all good. I think we maxed out at about 35 odd in the water mid morning and yes there are plenty of learners getting pushed in by their local coaches. In saying that I thought they were pretty good at letting a few waves go through or calling off the learners when someone else was on but of course it doesn't work all the time. I was up and out at sunrise and the learners really didn't start showing up till about 8 so there is a good couple of hours for the early risers where it is fairly quiet. The schools were only out till about 10 and the real learners did stick right on the inside and out of they way for the most part... You have to remember these guys are earning a living off the surf coaching (and photos and tee shirts) in an area where there is buggar all else to do so I was happy to work in with that. We had some good swell at around 4ft and the wave is just magic early with the offshore wind... I am a filthy SUP rider but it wasn't too hard to stay out of the way and pick up plenty of good waves. The break really suits longboards up to the size we had... nice and mellow with a couple of steeper sections similar to Caangu But there were plenty of short boarders ripping it up. Would like to see how it works when it is a bit bigger. There are quite a few other breaks in the area that are nowhere near as crowded as the main break as well. Best bet... talk to the locals so they know you aren't just a breeze in (it is their back yard after all), buy some tee shirts to support the local board riders and some photos off the boys.... and get in at the crack of dawn when the conditions are at their best. Gives you time for a second sesh after all the learners have buggered off!